This web site is run by Dr C & Y Kosniowski; it contains descriptions and photographs of the much loved and valued Carlton Ware. We will try and help provide information about Carlton Ware, but please do check the book "Carlton Ware - The Complete Guide" before writing to us. 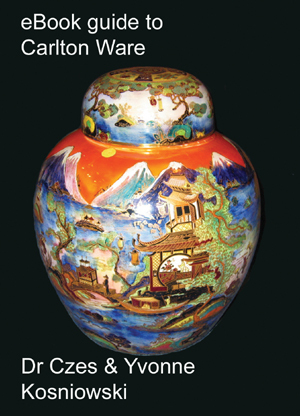 This book is a comprehensive guide to Carlton Ware with hundreds of photographs of this beautiful pottery. It covers all aspects of Carlton Ware. The chequered and colourful history of the company is outlined, from its conception in 1890 to the current day, along with information about the owners and designers who were influential in shaping its future. Carlton Ware were always striving to be at the forefront of current trends and innovative designs in a very competitive market. 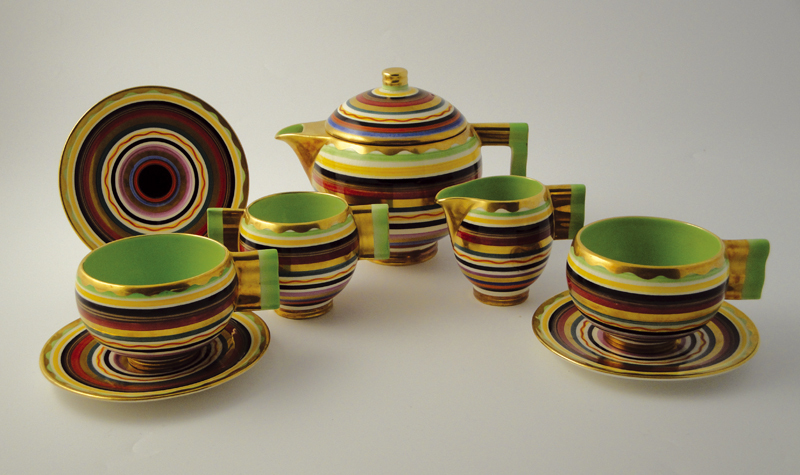 They produced an enormous variety of decorative ceramics, with an originality that captivated the mood of each era succinctly whilst holding sacred their reputation for quality. Included are over 700 images of Carlton Ware, each with a valuation. A full list of patterns and shapes is provided together with a price guide. A unique feature of this book is the inclusion of historical archived material. 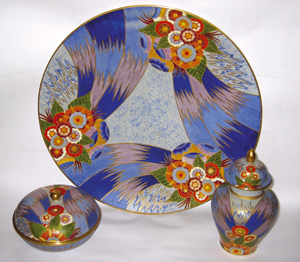 This includes advertisements, old “salesman literature”, photographs of original sketches of Carlton Ware shapes and finally some photographs of the original patterns beautifully illustrated by the designers. This book is a must for everyone who appreciates beautiful ceramics. 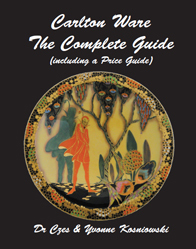 NEW BOOK: Carlton Ware - The Complete Guide (including a Price Guide) by Dr C & Y Kosniowski. What's New? Find out what changes have been made recently. Check out the carltonware.com newsletters.